Burning of flag: Philipine govt urged to take firm action | Daily Express Online, Sabah, Malaysia. Yayasan Perpaduan Malaysia has called on the Government of the Philippines to take firm action against Elly Pamatong over the burning of the Jalur Gemilang in the country on Jan 19 and 21. 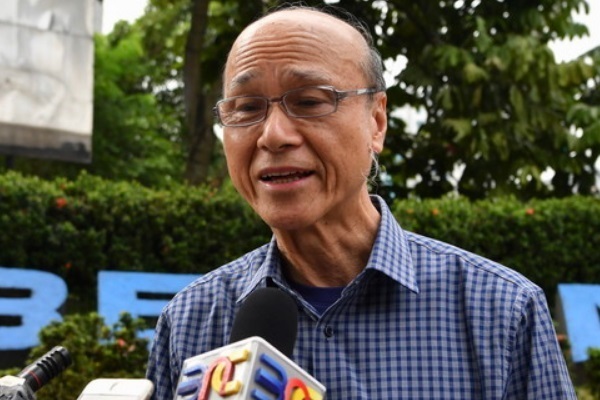 A member of the foundation’s Board of Trustees, Tan Sri Lee Lam Thye, said the move was to ensure that such incidents do not recur and as a lesson to everyone. “Not just the Malaysian flag but all symbols and identities of a nation should not be burnt but should be treated with respect at all times. As human beings, we should embrace noble values, such as respecting one another in our everyday life,” he said in a statement. Lee was referring to the controversial video which was posted on the Facebook page of “President Pamatong Supporters” on Jan 19 and 21, which showed Elly Pamatong, the self-proclaimed founder of the “United States Allied Freedom Fighters of the East” burning the Malaysian flag. In the video, Elly Pamatong is said to have issued anti-Malaysia comments which had offended the people of this country, thus affecting bilateral relations between Kuala Lumpur and Manila.